Henrietta Brewer House provides comfort, convenience and security in a dignified residential environment. Private rooms share a spacious, family style home. Henrietta Brewer House offers all the comforts and pleasures you deserve at one of the most important times of your life. Henrietta Brewer House is a private residence that furnishes a caring, safe environment to meet your personal health concerns. 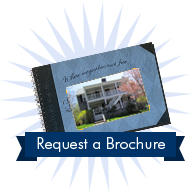 Henrietta Brewer House is a sensible alternative to a nursing home; a residence for those who need assistance with daily living, or who simply want the security of knowing that assistance and companionship are available if needed.